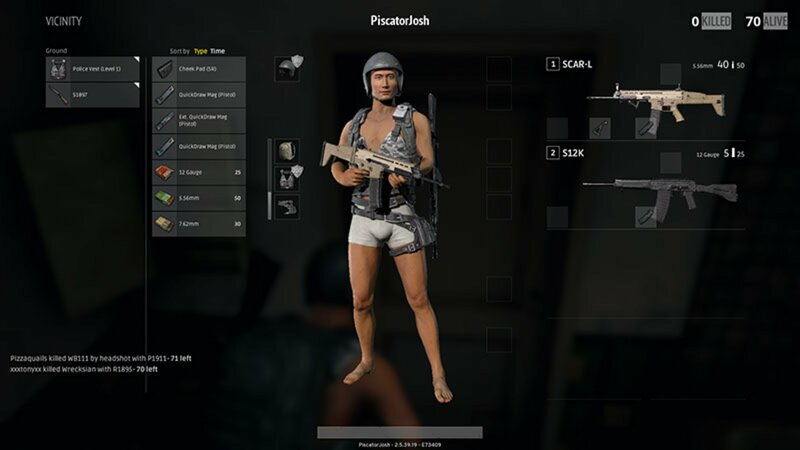 Information and statistics on the consumable items in PUBG. Due to the item’s long use time, players should exercise caution and make sure they’re in the clear before they attempt to use them. If you need a quick burst of healing in a pinch, the First Aid Kit will do just that. Bandages don't stack, so wait for the bandage's third heal tick before you use another one. Boosters add a fixed amount to your "boost bar". The boost bar is split into four sections that each grant a buff when filled. The final 25% of your health bar can only be replenished through boosters or a Med Kit. Your character’s boost bar decays over time. Section 1 - Slowly heals you over time. Section 2 - Increased healing over time. Section 3 - Further increased healing, and small Movement speed boost. They’re the quickest to consume among the boosters, so chug one in the middle of a gunfight to boost your health regeneration and give yourself an extra edge. A single Painkiller will heal you for 40% of your health over 3 minutes - an invaluable buff during extended gunfights. This is the only consumable in the game that’s found exclusively in air drops. Save it for the most dire of situations. Grenades are one-time use items that can be used in a variety of ways. Once the pin is pulled, each grenade has a "cook" time of five seconds before activating, so stay vigilant! A well-placed frag grenade can down your opponents in one loud puff of smoke and fire. Just make sure you don’t hold onto it for too long. A good hit from a stun grenade will blind and disorient a player for up to 10 seconds, so use them when you’re clearing cramped buildings or when you know you have someone cornered. When you don’t have any cover to hide behind, make your own! Smoke grenades are very useful in covering your own movements and cutting off enemy sightlines. Trying to flush enemies from cover? Throw a bottle of fire at them. Made with Lots of Love and League in California. © 2018 Instant eSports Inc.